Dr. Max Izbicki DO Chicago IL OB/GYN cares for pregnant patients from the first prenatal consultation through the delivery and beyond and supports breast feeding. Exclusive breast feeding is recommended for the first 6 months of a baby's life. Breastfeeding is best for the following reasons: Breast milk has the right amount of fat, sugar, water, protein, and minerals needed for a baby's growth and development. As the baby grows, the breast milk produced by the body changes to adapt to the baby's changing nutritional needs. Breast milk is easier to digest than formula. Breast milk contains antibodies that protect infants from certain illnesses, such as ear infections, diarrhea, respiratory illness, and allergies. The longer your baby breastfeeds, the greater the health benefits. Breastfed infants have a lower risk of sudden infant death syndrome (SIDS). Breast milk can help reduce the risk of many of the short-term and long-term health problems that babies face. Breastfeeding is good for both mother and baby for the following reasons: Breastfeeding triggers the release of a hormone called oxytocin that causes the uterus to contract. This helps the uterus return to its normal size more quickly and may decrease the amount of bleeding after giving birth. Breast-feeding may make it easier to lose weight gained during pregnancy. Breastfeeding may reduce the risk of breast cancer and ovarian cancer. Drinking caffeine is moderate amounts (200 mg a day) most likely will not affect the baby. 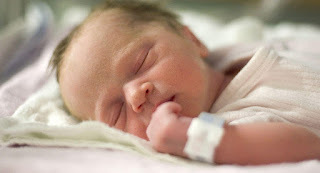 Newborns and preterm infants are more sensitive to caffeine's effects. Consume a lower amount of caffeine in the first few days after birth or if breastfeeding a preterm baby. Wait at least 2 hours after an occasional, single, alcoholic drink to breastfeed. The alcohol will leave your bloodstream - there is no need to express and discard your milk. Drinking more than two drinks per day, especially on a regular basis is not recommended. Dr. Max Izbicki is an obstetrician and gynecologist in Chicago, Il. Experienced in low and high-risk obstetrics, he administers individualized pregnancy care, from the first prenatal visit through the postpartum period and beyond. He also provids the full spectrum of gynecological care. Skilled in minimally invasive gynecological surgery, he offers laparoscopic and vaginal hysterectomy as well as endometrial ablation, among all medical and surgical options for women with heavy and abnormal uterine bleeding. Along with permanent contraception through hysteroscopic or laparoscopic tubal ligation, Dr. Max Izbicki provides all forms of long acting reversible contraception, including the Nexplanon contraceptive implant and intrauterine devices. Dr. Max Izbicki belongs to the Association of Advanced Gynecological Laparoscopists, the American College Obstetrics and Gynecology, and the American College of Osteopathic Obstetrics and Gynecology. Dr. Izbicki maintains affiliation with Norwegian American Hospital where he delivers emergency obstetric treatment as an obstetric hospitalist. Dr. Izbicki is also involved in teaching medical students and residents.